Marilyn grew up on a farm outside of New Hamburg, Ontario. After high school, she attended Goshen College and participated in a Study Service Term in Haiti. This trip to Haiti was eye-opening, and instilled a love for exploring new countries and crossing borders and cultures. A year in Amsterdam following graduation, a trip to Israel, Palestine and Jordan with a group of pastors, travelling to Paraguay for Mennonite World Conference, and many trips within Canada and the US have filled out the years since. Marilyn has been a pastor for over 20 years in both Ontario and Indiana, where she has performed her faith through preaching, leading and planning worship, and walking with people in the sacred moments of life. She has sung in a choir for 2 decades, been an avid supporter of local theatre, and finds great joy in quilting and reading. She has spent the last number of years in ministry pondering the changing face of the church and leadership and is intrigued and excited about new ways of being church together. 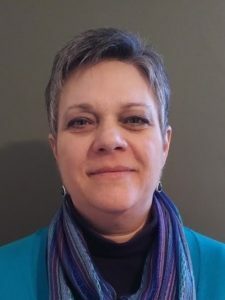 In May 2018, Marilyn will begin as Church Leadership Minister for Mennonite Church Eastern Canada. She is married to Allan Rudy-Froese, whom she met when they were both studying at Anabaptist Mennonite Biblical Seminary (AMBS). They have 3 children, 2 young adult sons who live and study in Waterloo, ON and a daughter who is in Grade 12 at Bethany Christian Schools in Goshen.